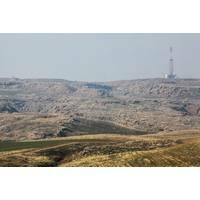 Genel Energy plc ('Genel') notes the announcement from DNO ASA, as operator of the Tawke field, that the Tawke field partners have received a payment of $37.40 million from the Kurdistan Regional Government for oil sales during July 2016. 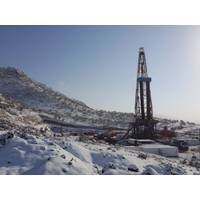 Genel Energy plc notes the announcement from DNO ASA, as operator of the Tawke field, that the Tawke field partners have received a payment of $30 million from the Kurdistan Regional Government for oil sales during June 2016. Energy companies, including some of the world's biggest, could be forced to slash prices of more than $110 billion worth of assets they want to sell after dealmaking in oil and gas fields ground to a halt due to the volatile crude market. Genel Energy plc announces that Jim Leng has indicated his intention to retire from the Board of Genel at the AGM in April 2016. Jim Leng has served over five years at Genel as Non-Executive Director, Senior Independent Director and as Chairman of the Remuneration Committee. Genel Energy plc announces that Sir Graham Hearne has indicated his intention to retire from the Board of Genel Energy at the 2016 AGM. In addition Genel Energy has today appointed Simon Lockett as an independent non-executive director with immediate effect. Genel Energy plc ('Genel') announces that the Aigle-1X exploration well on the CI-508 licence offshore Côte d'Ivoire (Genel 24% working interest) is in the process of being plugged and abandoned after failing to encounter hydrocarbons. Genel Energy plc signed a definitive sale and purchase agreement with OMV to acquire its 36% operated stake in the Bina Bawi field. Completion of the acquisition is subject only to government approval, which is expected shortly. In accordance with Listing Rule 9.6.14, Genel Energy plc announces that Mehmet Öğütçü, independent non-executive director of Genel Energy plc, has been appointed as an independent board member of Sisecam Group, a flat glass, glassware, glass packaging and chemical group. 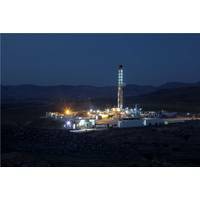 Genel Energy plc issues the following trading and operations update in advance of the Company's full-year 2014 results, which are scheduled for release on 5 March 2015. The information contained herein has not been audited and may be subject to further review.